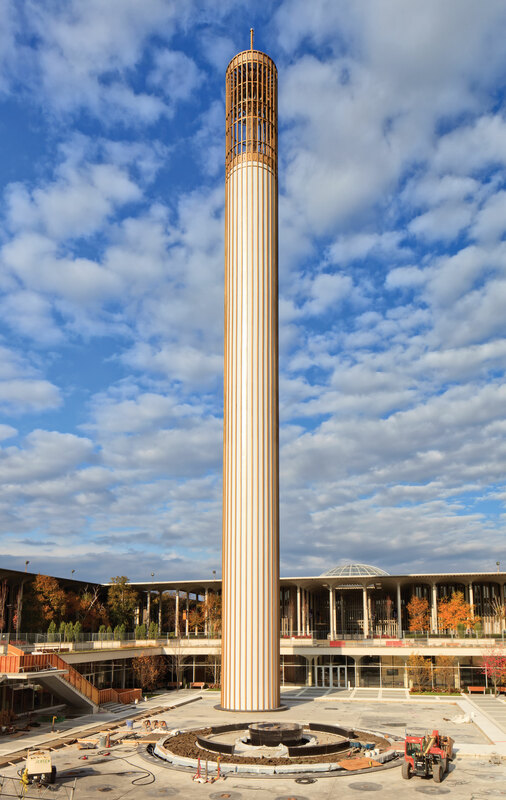 In the late 1960s a 251-foot architectural landmark was built at the University at Albany in New York. The 320,000-gallon standpipe water tank was in desperate need of renovation after seeing massive corrosion. The engineers at Delta and Field Applicator, TDA Construction, worked closely with Tnemec Company to replace the structure’s lead-based exterior paint and interior lining with an advanced fluoropolymer coating system. As with any major education construction, building, or renovation, specific steps were required to not only reduce the sandblasting debris but also minimize noise for faculty and students on the open campus. 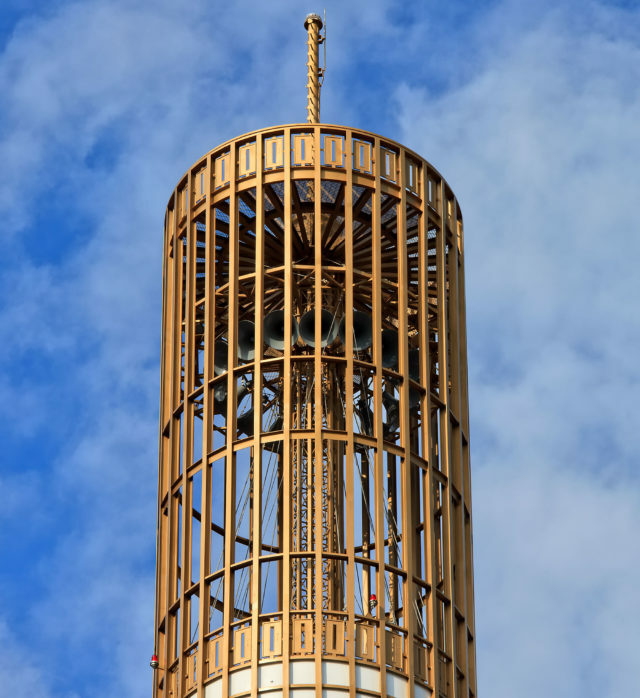 In accordance with OSHA regulations, which govern lead-based paint removal, sandblasting debris was contained utilizing scaffolding enclosed in plastic sheeting. Additionally, the sandblasting equipment utilized low-decibel compressors to reduce noise and therefore minimize disruption. 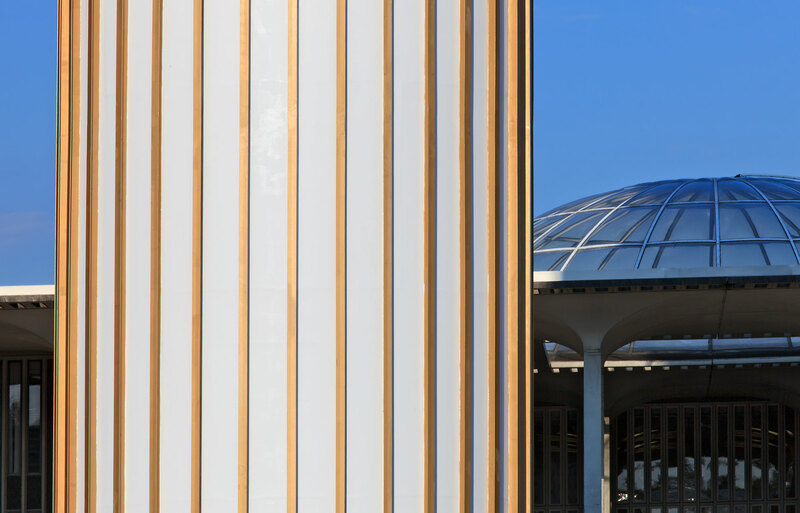 The interior and exterior steel components were primed with Tnemec’s Series 94-H2O HydroZinc, a single component zinc-rich urethane coating, used for corrosion resistance. Next, an intermediate coat of Series 1075 Endura-Shield II was applied. This coat is an aliphatic acrylic polyurethane that contains weatherability properties to reduce abrasion. Both the Fluoronar and Hydroflon coating systems contain Lumiflon FEVE resin technology, which allows each coating to remain intact for an extended period of time, eliminating the need to further recoat. 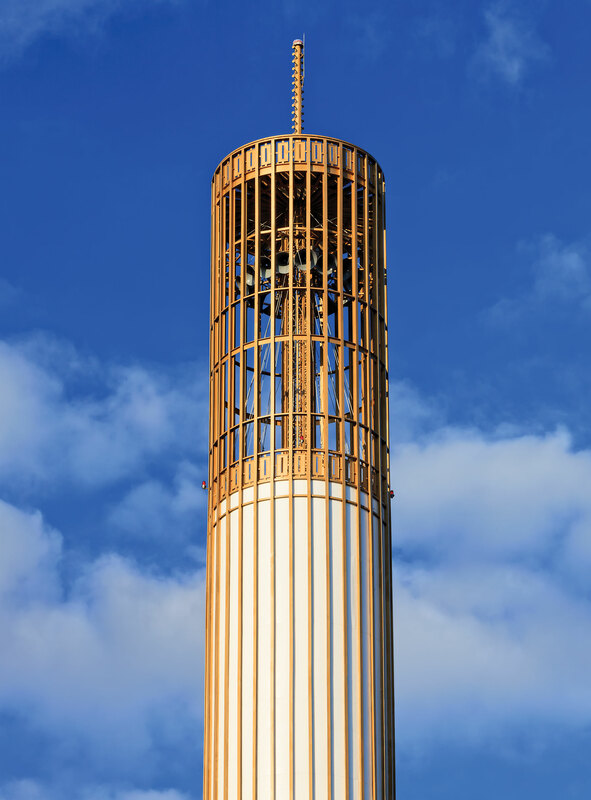 The fluoropolymer protects the water tank from UV radiation and other environmental deterrents that contribute to coating degradation, avoiding the corrosion that caused the original need to recoat.